Easter 6 Sermon: "First Comes Love"
At first it might seem Jesus’ words in John 14 sound a bit out of place next to Paul’s bold defense in Athens or Peter’s declaration of holy suffering, holy baptism, and defending the faith in holiness. But there’s (at least) one common thread woven between all three readings: love from Christ to his disciples, and love from his disciples to God and the neighbor. Or quite simply, love and works. And before you break out into mental jumping jacks, it’s not a chicken and egg scenario. Which came first works or love? Jesus is quite clear: love then the deeds; not, deeds then love. In John 14, Jesus keeps his disciples – and promises to send the Holy Spirit to continue keeping them – as they love and keep his commandments. Christ’s love sustains and keeps the disciples as they love and live in his word and teachings. In 1 Peter 3, Jesus’ love is revealed in this righteous death for us the unrighteous. And our love to the neighbor is revealed in making a defense for the reason for the hope that is within us, and doing it with gentleness and reverence, having a good conscience…how? In Baptism where you received that holy, humble, and clean conscience before God. And so your neighbor is whoever is close to you on the roads, in your home, at church, or in your communities. God places people in your life in order for you to make a defense for the hope that is in you…even when, especially when, you are slandered and reviled for doing good. Sounds like Paul in Act 17. The Greeks called him a babbler. Foreigner. Preacher of strange divinities. The Epicurean and Stoic philosophers brought him to the Areopagus – a public forum or marketplace of ideas - to be a circus pet, someone who would entertain their ears with a new teaching. And Paul revealed God’s love by making a well-crafted and faithful proclamation of Jesus’ resurrection. God doesn’t need your good works but your neighbor does. That’s how you love him, by loving the neighbor. Not for yourself. That’s not a good work. Love as response, not reward. That’s the pattern. Christ’s love is opposite of the world: giving unconditionally. It’s about sacrifice and forgiveness, not merit and reward. And that’s how Christians are called to live. We love because Christ first loved us. We keep Christ’s commandments and Word because Christ keeps us, fulfilled the commandments for us, laid down his life and rose again for us. All of life is liturgical; it’s full of ritual. From the time we get up, whatever your morning ritual is, to the time we go to bed. And ritual isn’t just a part of our personal lives. It’s life. G to a USC or UCLA game – there’s liturgy and ritual all around you: game day traditions, seasons, proper vestments, saints, songs, stadiums. Wherever we go the objects of our worship surround us. We’ve a plethora of altars dedicated to the pantheon of our unknown gods. And don’t forget the popular cliché: “I’m spiritual, not religious.” Ironically, that’s a religious statement. A claim to truth. A confession: for Old Adam’s god of choice is to worship the trinity of me, myself, and I. So don’t fall for the old canard that people don’t like the liturgy. It’s not that people don’t like ritual, liturgy, and routines. It’s that our sinful flesh doesn’t like anything which points us away from and outside of ourselves and onto Christ and his work for us. There’s a little Epicurean and Stoic philosopher in each of us, always looking for something new to scratch our itching ears, something new and entertaining. 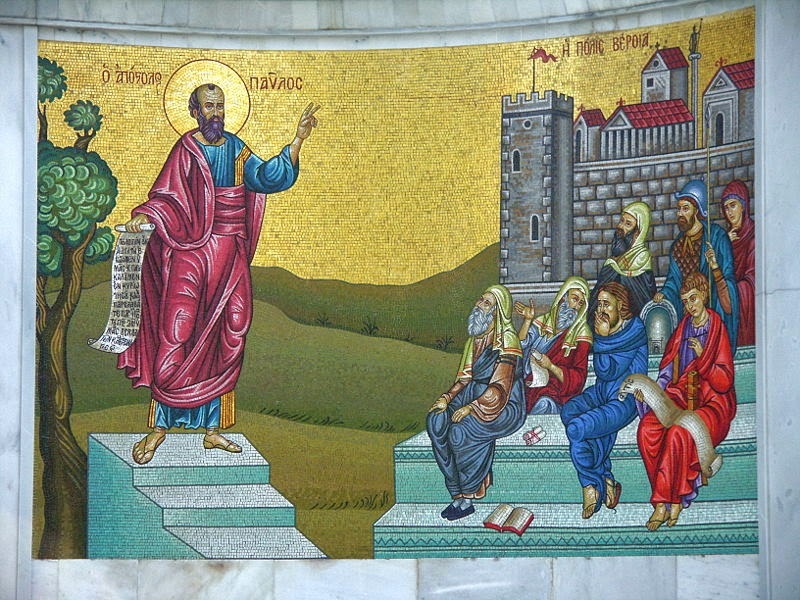 In many ways our culture is similar to the Athens that Paul encountered. You don’t have to go to the marketplace or the Areopagus; just have to go online. It’s all there. All 31 religious flavors and then some. Angry atheists. Skeptical skeptics. And we, as the baptized priesthood of Christ are given to be His apologists, to give a defense for what we believe and why. And yet we don’t. Perhaps we don’t know why we believe what we believe, or even what we believe. And there’s no need for that. We all have Bibles, Bible classes, the Confessions. Maybe we don’t speak because we think in terms of success and failure. We’ve bought into the world’s notion of performance, as though we were salesmen and the church is a business. Paul didn’t worry how many believed or not in Athens. That was God’s business. Paul’s business was to declare and defend the Gospel. You can’t fail except not to open your mouth, when called upon, to speak. Not like a religious nutcase. But simply in your daily life. When you live as one who has hope because Christ has risen, people will want to know what makes you stand out – that’s a good thing. But really we don’t speak because we are afraid. Afraid of the ridicule from others. Maybe they’ll laugh, call be a babbler and a fool. Paul faced the same. And yet, like Paul, you know the truth: that the ungodly stand justified before God because of what Jesus did – His perfect life, His death, His resurrection. Sinners stand forgiven. Children of Adam are declared to be children of God. Death is not the end of life but in Christ is the beginning of eternal life. You know where to find Christ to save you and for you to worship Him: in the preached Word, in the Sacrament, joined to His Body the church. You know these things. And yet we’ve all failed. It’s easier to talk about sports or the weather or anything but the most important thing. But our silence is our sin. Thankfully, that sin and all sins are washed away, just like our sin of failing to love God and keep his commandments and love our neighbor. Baptism washes it all away. Clean. A good conscience through the resurrection of Jesus Christ. We are free, forgiven people. We have nothing to lose because we have everything in Christ. We have nothing to fear, because faith in Christ trumps all fear. We have no reason not to speak, because it’s not we who are speaking but Christ who works in and through us and the Spirit of truth He sends to us. So, how does a Christian go about loving God and keeping his commandments? Do you have a manual? Is it to be like St. Paul? You are forgiven and freed to stand before the scoffers and the skeptics as well as the genuinely curious and tell them the reason for the hope you have in this life. Not like Darth Vader says by searching your feelings. But on account of the sacrificial blood of Jesus your sins are forgiven, you are justified before God, you are covered with a righteousness not your own but that of Christ’s, that because He lives, you will live, and that not even death can separate you from God’s love in Jesus Christ, that in Baptism you are united in his dying and rising, that in the water you have a real washing away of sins. Baptism saves you, just as it did Zoey this day; that in the Supper you personally receive the tokens of His sacrifice, His own Body and Blood, that Christ speaks the words of forgiveness into your ears through the pastor He sent to you. What’s more, Jesus doesn’t abandon you as orphans. He gives you the Holy Spirit who prepares you to make a defense to anyone who asks you what you believe and why. And it’s Christ’s love keeping you even as you struggle to keep his commandments and love one another. Jesus knows it’s a struggle. He knows we are weak. He knows our guilt, sin, and death. He knows it all better than you know yourself. But as much as you struggle and wrestle and die to sin, Christ has struggled and wrestled harder for you, even to the point of death on the cross. As much as you strive to keep the commandments, know that Christ has perfectly kept them for you. And he perfectly keeps you in his dying and rising. It is not your love for others that sustains your faith in Christ, but Christ’s love for you that sustains you in your love for others. And it is Christ’s love that keeps you, even as you keep his commandments and love one another. Easter 5 Sermon: "The Way of Truth and Life"
Context. Context. Context. That’s said not only for emphasis but because it’s dangerous to read only one bible passage and then close the book and go on using that bible verse like an Oprah quote on a Starbucks coffee cup. Someone even wrote a little booklet called “Never Read a Bible Verse”. In other words, don’t just read one; read more; read several. Take a moment or two to study the verses before and after. Look at the chapter and that verse’s placement in it. Then look at the surrounding chapters. Context is incredibly important. Today’s Gospel reading is a good example of why. What’s Jesus saying here? If you only read today’s reading you wouldn’t have the whole picture. Why are the disciples troubled? Why does Jesus comfort them? Where’s Jesus going? How does he prepare a room for us? Of course, looking at the context doesn’t always answer all our questions, but hopefully it helps us ask the right ones. So that we ask them on the basis of God’s Word and not whatever we feel this or that passage means to me. That’s about as helpful as reading a book in the dark with sunglasses on. John 14 lands right in the middle of the Holy Thursday events. Jesus and his disciples are in the upper room. In the previous chapter there was the feet washing. The Lord of all became the servant of all. And he established the Lord’s Supper to feed us with his body and blood for our forgiveness. Take eat; this is my body. Take drink; this is my blood shed for you. Quite a lot going on that Thursday night, isn’t there! And just before our reading today in John 14, Jesus told the disciples that one of them would betray him. He told Peter that he would deny him three times before the rooster crows. And shortly before all of that Jesus predicted his suffering and death. Now there’s some delightful dinner conversation. No wonder the disciples are uneasy, confused, and doubted. And we have a lot in common with the disciples. We don’t always understand Jesus’ word, no matter how many times Jesus repeats it. We don’t always trust his word and his will. 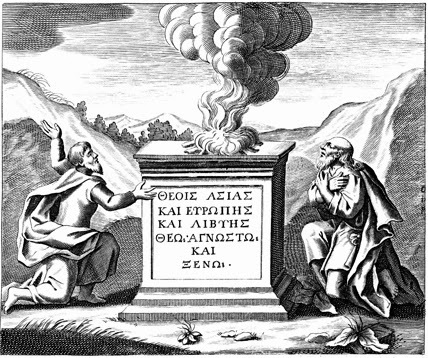 Like the Jews whom Stephen addresses in Acts 7, we’re a stiff-necked people. And though we probably haven’t picked up stones to throw at any of our neighbors recently, we’ve all committed murder in our hearts towards those around us whether at home or church or anywhere else. We’ve received the Law, and we’re no better at keeping it than Israel was. Yes, we’re right there with the disciples in that upper room, confused, scared, and sinful. For as many times as we have misunderstood God’s Word, Jesus speaks to us again and again. He doesn’t give you the silent treatment. He is patient, slow to anger and abounding in steadfast love. For as many times as we’ve failed to trust his promises and provision for us, Jesus perfectly trusts in the Father’s Word and will for you, on your behalf. That’s what he was doing in that upper room, and in the garden, and during that trial, and on the cross – all for you. Jesus’ word of comfort is greater than your fear. Jesus’ death is greater than your guilt. Jesus sacrifice on the cross is greater than your sin and the joy of his resurrection is greater than your shame, replacing it with unending, eternal joy. Jesus doesn’t show the way, as though the way to the Father was to do certain things, to imitate what Jesus would do. Moses showed the way; Jesus is the Way. Jesus doesn’t simply speak the truth; He is the Truth. His Word is truth and life. And Jesus doesn’t simply give life, He is the Life. He is your life. 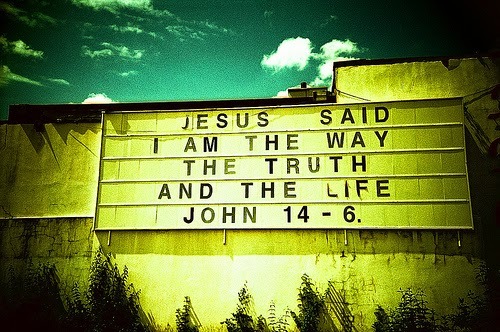 Jesus is the way, the truth, the life…for you and for all. That’s how he prepares a place for you. By living for you. Keeping the Law for you. Suffering for you. Bleeding, praying, and dying for you. By descending to hell, rising from the dead, and ascending to heaven for you. So if you want to know if heaven is for real, I don’t suggest starting at Barnes and Noble or your local movie theater. Look to Christ. Listen to his Word. What could be better than that? For you are living stones, being built up into a spiritual house. A many-roomed house. Not a deluxe apartment in the sky, but a holy house. The Lord’s house. One house. One Lord. One faith. One Baptism. One God and Father of us all. And he’s brought you here to this his house to baptize you, teach you, declare his promises to you, and feed you with forgiveness, life and salvation. Jesus is busy with his heavenly housework, in the church on earth and in heaven, preparing a place for us, and preparing us to tell other people of their place in heaven too. Jesus goes on to say to his disciples that they will do even greater works than He has done. He’s going to the Father by way of His own death and resurrection. He will send the Spirit upon His church, and gathered in His name greater works than all the miracles Jesus ever performed would be done. Sinners would be justified in His Name and stand before God’s judgment acquitted. Men and women from every tribe and nation and language would be baptized, washed in the rebirthing and renewing bath of water and Word and become new creations in Christ. Through the words and works of men, God gathers to Himself a holy nation, a chosen people, a royal and holy priesthood to declare the praises of Him who called them out of darkness into His marvelous light. That’s the work and message of Church, to proclaim Christ crucified and risen for the forgiveness, life, and salvation of the world. “Lord, won’t you buy me a Mercedes Benz?” Nope. Remember the word of the day: context! Not the way of prosperity, name it and claim it preachers. God isn’t a divine vending machine or a magic genie in a bottle. Read the verse in context: “that the Father may be glorified in the Son.” Those are the prayers that come with this guarantee. What brings glory to the Father in the Son. And what glorifies the Father in the Son? In John, especially, it’s when Jesus is lifted up high on a cross and dies. That’s His hour of power, His moment of glory when the Father is glorified in Him. And that is your moment of glory too, when you died with Christ in His death, and through Baptism were buried with Him, and rise to new life. Your reservation’s already made in Jesus’ dying and rising. And your place in heaven is prepared. 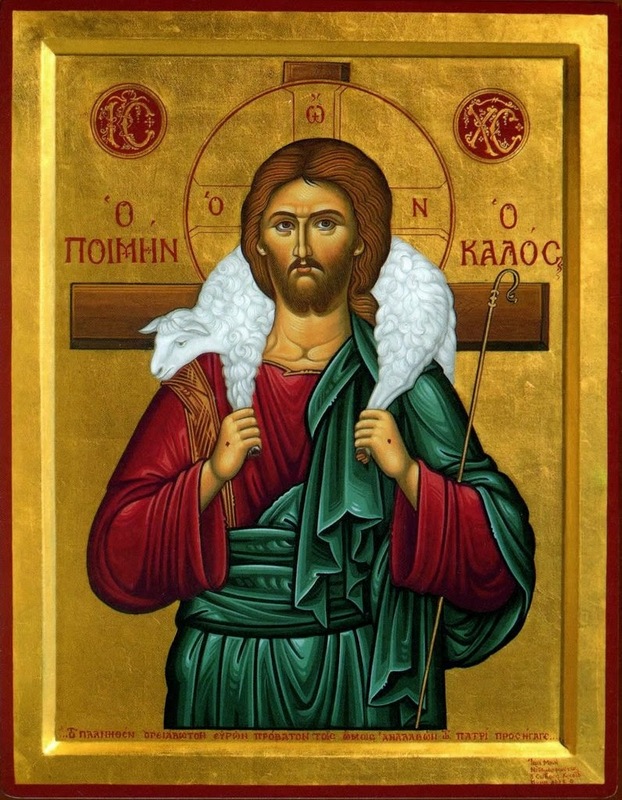 Sermon for Easter 4: "Christ the Door Sunday"
Today is often called Good Shepherd Sunday but what do we hear from John’s apostolic pen? How ordinary. I AM the Door? C’mon, really?! What about I AM the good shepherd – now there’s some rich biblical imagery. Or I AM the way, the truth, and the life – there’s something we all need in this post-modern age. Or how about I AM the vine or I AM the resurrection and the life – that’s understandable. Even Jesus saying I AM the morning star or I AM the alpha and the omega – makes more sense. But I AM the door? What are we supposed to do with that? There are plenty of Christ the Vine, Light of Christ, or Good Shepherd Lutheran churches. Ever seen a Christ the Door Lutheran Church? That’s what I thought. And I’m guessing that for most of us doors probably don’t light your fire. Then again, people are strange. I AM the door. What does that mean? Aren’t doors, as Jim Morrison reminds us, a way for us to break on through to the other side? Aren’t doors just a way to get from point A to point B? 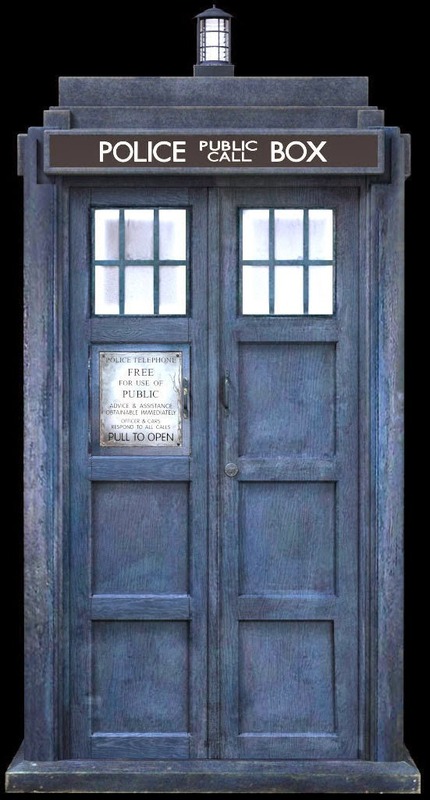 There’s nothing significant about a door…or is there. Although this 4th Sunday of Easter is most commonly known as Good Shepherd Sunday, today could just as well be Christ the Door Sunday. Jesus is behind both titles: Door and Shepherd. Jesus is both Door and Shepherd. And John’s Gospel records the why and how. Jesus, the Good Shepherd, is our Door to eternal life. 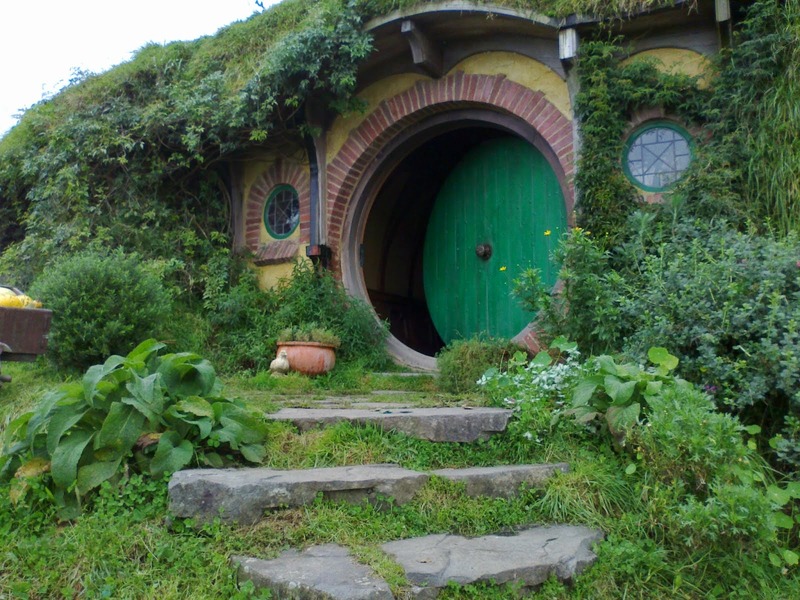 Now of course, doors come in all shapes and sizes: round doors that lead to holes in the ground, automatic sliding doors that make you feel like a Jedi knight, doors that open up perhaps from a police box or a wardrobe – into a room or a whole new world that’s bigger on the inside. Doors are an important, a vital part of our daily life. So it is for our life in Christ. Doors vary in form and function, but in the Christian church there is only one door and it only comes in one shape: Jesus crucified. This doorway of the cross is an eternal portal. And it’s both narrow and wide. It is a narrow door through which the last come first; a door through which it is easier for a camel to pass through the eye of a needle than for us who are rich in trespasses to enter in. It is a narrow door and we must be stripped of our self-righteousness, pride, and sin in order to fit through it. We must lose our life in order to find it in Christ. 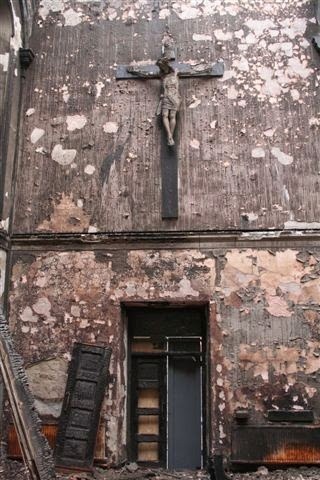 And yet this door of Christ Crucified is wide. 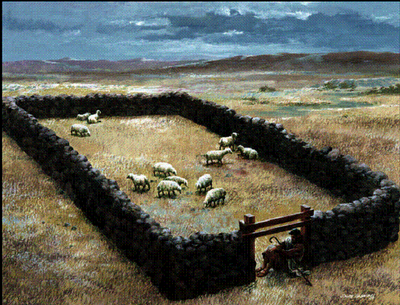 It is wide enough for all sinners to enter and find rest in Christ’s sheepfold. For as bad and as great as our sin is, it’s not greater than Jesus’ cross. There’s no sin and no sinner for whom Jesus did not die. Jesus’ death and resurrection is greater than your sin, my sin, and the sin of the world. 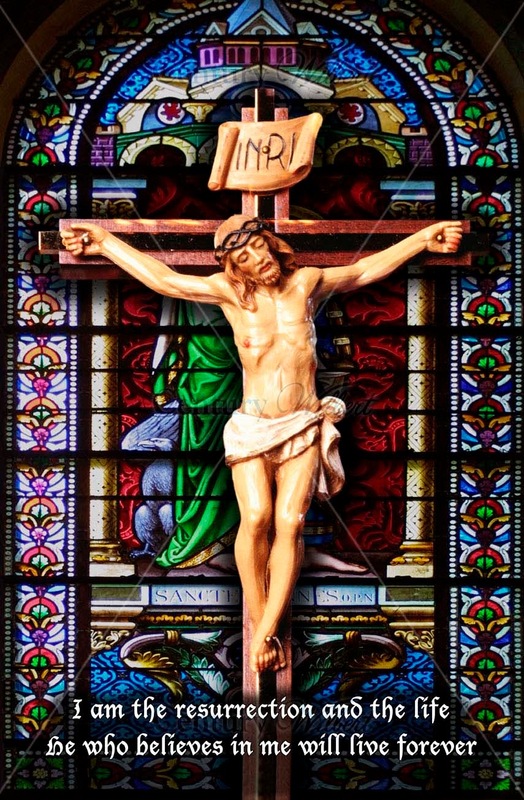 Jesus cross is a door large enough to swallow up your death, guilt, and sin. Jesus took it all, nailed it to his body on the tree. And as Jesus’s tomb opened on Easter morning the doorway of death was closed forever. That’s Jesus’ promise given to each of you in Baptism. Your sin is forgiven. You’re not left outside knocking on heaven’s door. Jesus’ cross is your doorway. The doorway of paradise is no longer guarded by angels and flaming swords. 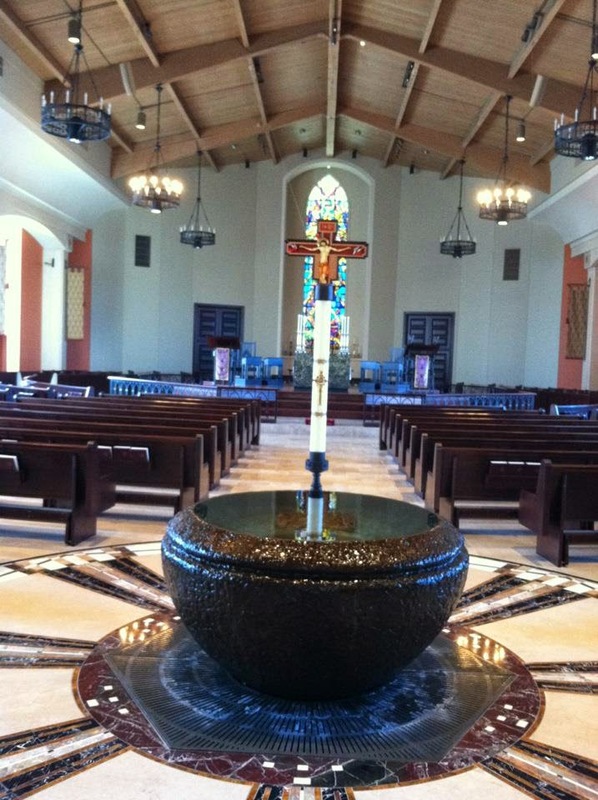 Now the road to the Promised Land runs through the font. The door to the green pastures of Christ’s new creation is opened to you in Holy Baptism. Today, and always, in the water of Baptism you are with Jesus in paradise. 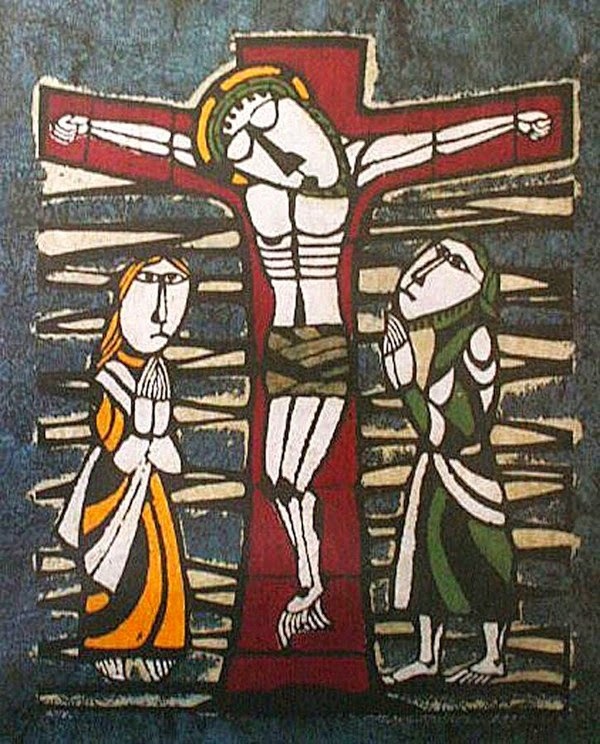 For on the cross he opened the vault of his wounded side to pour out his redeeming blood and water upon you. Jesus throws us into the belly of the font, drowns our sin, and then spits us out again in resurrected life. And so Holy Baptism is your door; just as it is for Jonah today. Jonah’s door, your door, my door. The sheep hear his voice, and he calls his own sheep by name and leads them out. Shepherd. Door. Savior. Jesus does it all for you. Jesus came that you may have life, and have it abundantly. Jesus is the entrance to God’ kingdom and the destination all in one. Thy kingdom come. And he does, in your human flesh. In his word you hear today. In his pouring out forgiveness and the Spirit in water and word. 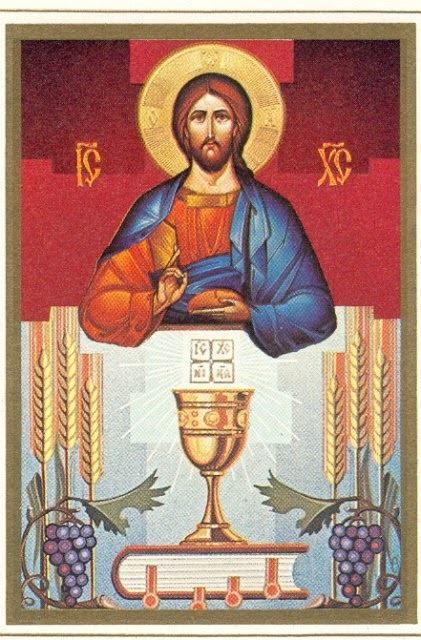 In his body and blood which we eat and drink. Jesus the Good Shepherd is also your door, and the door is also your shepherd. Jesus, the Good Shepherd, is your Door to eternal life. “Truly, truly, I say to you, I am the door of the sheep. All who came before me are thieves and robbers, but the sheep did not listen to them. Jesus contrasts himself with the thief and robber. The Shepherd enters by way of the door, but thieves and robbers climb in some other way. And that “other way” is never the way of Jesus’ death and resurrection. You can always tell a thief or a robber from the shepherd by the message he brings. Listen closely. Anyone who does not preach Jesus Christ to be your Shepherd, who bore you sins on the cross, who laid down His life for your salvation, in whom you are justified before God freely for Jesus’ sake, is not speaking on behalf of the Good Shepherd. It doesn’t matter if he’s wearing a clerical collar, or flowing robes, a business suit, or a Hawaiian shirt. It doesn’t matter whether he uses PowerPoint or powerful points to make his point. If what he says is not connected to the narrow door of Jesus’ death and resurrection, he is a thief and a robber and a wolf in sheep’s clothing. It doesn’t matter if his church is crowded with people, your bank account swells to new levels, or whatever he says feels good. If he doesn’t preach Christ and Him crucified, he’s a thief and not a shepherd. Don’t look at the messenger; listen to the message. The thief comes only to steal and kill and destroy. He may sound nice enough, maybe even nicer than the shepherd, but don’t trust him for a second. The devil masquerades as an angel of light. Jesus is your only door. There is no other. But that doesn’t seem to stop us from looking for another door or another voice to listen to instead. The Lord’s my shepherd, I shall not want...anything, that is, except what I desire and deserve. He makes me to lie down in green pastures, but I spy grass that is greener on the other side of the fence. He leads me beside the still waters, but I know of far more exciting places where I’d love to slake my thirst. He makes me to walk in the paths of righteousness when all I want is to run in the open fields of the world—eating where I want, do what I want with whom I want and whenever I want to do it. He leads me for His name’s sake, but I want to make a name for myself. All we like sheep have gone astray. Repent of your sinful, sheepish ways. Return to the Shepherd and bishop of your souls. Listen to his voice. And be not afraid. For Good Shepherd Jesus knows His sheep and our wandering ways. One of the things a shepherd does for His flock is lie in the opening of the pen at night. At night, the sheep are herded into their pen. That’s what Jesus means when He says, “I am the door of the sheep.” He literally lays down His life for the sheep. He lies in the door of death, and through His death, His sheep can go in and out and find pasture. Through the narrow door of Jesus’ death there is life for you, abundant, eternal life. He’s done it for you - died, rose, reigns. And in the Good Shepherd’s flock you are safe forever. Yes, he occasionally uses his rod for our discipline. But the rod is also there to fend off the devilish wolf. And your Shepherd fought to the death for you. Jesus dove into the jaws of the roaring lion for you. Jesus emerged victorious, bringing you along with him. He uses the crook of his staff to rescue you, pull you out of harm and danger, and lift you up on his shoulders and carry you home. The Lord is your Good Shepherd. And all He wants is you. I who so often turn my back on the fold and its shepherd? Yes, you. I who have cursed His staff, ignored His call, gone my own way? Yes, you. I who have been more like a wolf than a sheep, angrily tearing away at those around me? Yes, the Good Shepherd wants only you. Jesus came that you may have life, and have it abundantly. You are the people of his pasture and the sheep of his hand. For Jesus, the Good Shepherd, is your Door to eternal life. Sermon for Easter 3: The Emmaus Miracle"
“Feed them and they will come”: that seems to describe Jesus’ ministry pretty well. Just think of all the Gospel accounts which revolve around Jesus and food. Jesus eating with His disciples; with tax collectors, prostitutes, and outcasts – the more the merrier. Jesus even eats with Pharisees. From Zaccheus’ house to the feeding of the 5,000; from Holy Thursday to Emmaus, Jesus loves breaking bread with sinners. And it’s all the better for us. The Church continues in her Lord’s tradition of Divine culinary excellence: “Peter, do you love Me?” “Yes, Lord.” “Feed my sheep. Feed My people with My Word and at My Table and never stop; for I will never run out.” It’s as true today as it was on that Emmaus road. Where’s Jesus? Right where he promised to be. Jesus is known in His Word and at His table. In the Scriptures and the Breaking of the Bread. In His promises and in His Holy Sacraments. But the Emmaus disciples didn’t understand this…not yet. That’s where we meet these downcast disciples. A long 7 mile walk of shame back home. And as they walked that lonely road, they talked about all that had happened. The arrest, the trial, the crucifixion, the burial, that strange report from the women of the empty tomb, the angels, the news from Peter and John. But no sight of Jesus. They had hoped He was the One. The Savior and Redeemer of Israel. And now, they thought Him dead. The third day had come. But they were troubled, afraid to believe. Alone. Disappointed. Disillusioned. Bewildered. Confused. But they weren’t alone on that Emmaus road. There was a stranger. It was Jesus, but their eyes were kept from recognizing Him. Jesus concealed His identity. Jesus is still the Teacher. So, He listens in to hear what they say. And what they say to Jesus about Jesus betrays the fact that they do not yet take Him at His word. “He said He would die and in three days rise.” They’ve been counting. They knew it was the third day, and getting late. In spite of everything they had seen and heard and read – the miracles, the trial, the crucifixion, the news from the women, even Jesus’ own teaching which predicted his death with graphic precision – they still did not believe. Jesus rebukes them. Their foolishness reveals their faithlessness. It wasn’t their eyes, but their hearts that were blind. Hearts weighed down by sin, alienated from God are slow to believe. We’re no different. Our hearts don’t naturally believe God’s promises. We’re slow to believe His Word, and foolish too. We alienate ourselves from God, we turn away from His word and turn inward to ourselves and our own words, which is always dangerous. We do it all the time at home when we doubt and think God has abandoned us. We do it at church and we act as if God’s Word doesn’t do what he says it will and that his word and sacraments aren’t enough to sustain us. Repent. God’s living Word and his Son’s body and blood are all we need. Repent of living as if God and your neighbor did not matter and as if you mattered most. Come clean of your own unfaithfulness and be washed, be cleansed, be forgiven by the Holy Spirit. Just as he did to the Emmaus disciples, Jesus sends His Holy Spirit upon us in order that the dry ground of our hearts would be pierced and plowed by His creative, two-edged sword. He taught them how to interpret the Scriptures. Jesus is speaking of the Old Testament. Jesus. His birth, life, death, resurrection, and ascension is foretold by Moses, the Psalms and the Prophets – it’s all there. Every jot and tittle points to Him; is fulfilled in Him. He is the key, the center, and the hub, of the Old Testament. God’s Word is no how-to book or owner’s manual. The Scriptures reveal the crucified and risen Jesus; this is the living voice of God. You hear the Word, you hear Jesus. No sooner had they recognized Him; their mouths close on the bread, their eyes are finally wide open – and their hearts are quickened. Jesus is gone! Where did He go? They didn’t have to ask. They knew not only by sight but now by faith. “Didn’t our hearts burn within us while He talked with us on the road and opened up the Scriptures?” This isn’t some kind of liver-quiver, or touchy-feely burning in the bosom; but a sure and confident trust built on a more sure and trustworthy Savior. The Emmaus disciples knew exactly where to find Jesus – in the Scriptures and in the Breaking of the Bread. It’s no different for us. Jesus is known in His Word and at His Table. You want an Emmaus road experience too? Great! We all should long for such an event. And you have it. Come to Bible study. Read, mark, learn, and inwardly digest this wholesome Word; you can’t eat enough of this Bread of God’s Word. Come and hear. Sing. Receive. Rejoice in Christ’s gifts in Divine Service. For Jesus lived the life you cannot live. He died the death you cannot die, the death that defeats death itself – all for you. For all the days and hours you live for yourself, Jesus lived every day, every hour to rescue you from sin death and hell forever. And if that wasn’t enough, He comes and feeds you with his crucified and risen body. You want to see Jesus? It’s simple. Go where He’s promised to be for us. Go where He locates Himself – in the Supper, the Eucharist, the Sacrament of the Altar, in His body and blood given and shed for you for the forgiveness of your sins. Jesus is here; He says so Himself. Jesus still loves dining with sinners. He lives to feed you with His crucified and risen body and blood. He lives to serve you with forgiveness at his table. He lives to save you with his sacrifice given you in this sacrament. That’s what Easter is all about. That’s why there’s unending joy. Eating and feasting with Jesus. But this is no human joy or temporary peace. For as good as the joy a warmed hearts is –it is far better to know who that joy and passion comes from; and far better still to know that even on days you don’t feel joy or burning clarity of God’s Word – or even when you’re disillusioned, dejected, bewildered or alone – Jesus Crucified and Risen is still walking beside you on the road, speaking His Word to you; revealing Himself for you in the Breaking of the Bread. Here in this place, week after week, in these Scriptures, at this altar, in your ears, in this font – the Emmaus miracle happens every Sunday. Come, let us walk the Emmaus road to the altar as our Lord reveals himself to us in his word and at his table. A Funeral Sermon for Laverne Florer: "Jesus is Your Resurrection and Life"
I am the resurrection and the life. Whoever believes in me, though he die, yet shall he live, and everyone who lives and believes in me will never die forever. As Mary and Martha mourned the death of their brother, Lazarus, this seemed the farthest thing from reality. Resurrection? Eternal life? How can that be possible? Death is final. Death is the last enemy. How can Jesus say that? 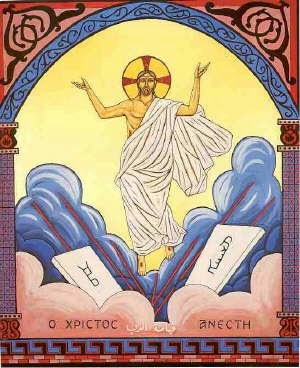 Jesus speaks as if death is utterly weak and empty; as if death is not final; as if death is powerless over him and anyone who believes in Him, that is, anyone who is baptized, who is God’s own child such as Laverne. And that is precisely what he means. This is the unending joy of Easter. Jesus rose. Jesus lives. Jesus conquered death by dying and destroyed the power of death by his resurrection. Ordinarily, dead men don’t rise. To be sure, Jesus is a man, but he is no ordinary man. He is God of God; Light of Light; very God of very God. He is the first man in the history of the world over whom death has no power. Before Jesus death quakes and surrenders. In Jesus death is not final. Death doesn’t get the last word – not for Mary, Martha, and Lazarus; not for Laverne or you either. Death is undone. Powerless. Finished. Jesus gets the last word. I AM your resurrection and life. This was the faith Laverne confessed, the faith she was given at baptism, the faith that sustained her throughout her life, whether she was desperately ill or feeling well, having a good day or a day that seemed worse than death itself. For though she struggled with her memory and dementia there is someone who has a greater memory and recalls everything He has done for her, Christ her Lord. Jesus held onto Laverne even though it looked to us as if she had lost all grip on life. 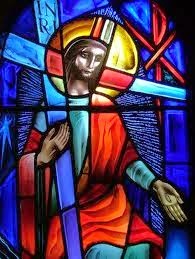 Nothing and no one is stronger than those hands, Jesus’ hands, lifted up, pierced, and fixed to the cross for Laverne, and you, and the whole world. Jesus’ death and resurrection is stronger than your death and mine, stronger than Laverne’s too. Jesus’ hold on Laverne was stronger than any doubt, fear, or illness. For Jesus is also Laverne’s resurrection and life. Although we grieve Laverne’s death. We do not grieve without hope. In the midst of our grief and sorrow, Jesus speaks to us as he did to Mary and Martha. Jesus comes to you in your grief: today, and in the days and years ahead. Joy bursts through our tears. Jesus speaks his bold promise to you, the very same word of consolation He gave to weeping Mary and Martha, a promise that is as sure and certain as His death and resurrection. A promise that has no expiration date, no fine print, conditions, or strings attached. A promise that is older than the foundations of the world, yet is new every morning; a promise that sustains you today and for eternal life. The peace of God which surpasses all human understanding guard your hearts in Christ Jesus, to life everlasting. Amen.